Stable economy, growing population makes Australia sparkle for Middle East investors. DUBAI, 10 June 2015 – Middle East investors are increasingly looking at Australia as a destination to expand their real estate portfolios, according to property investment firm IP Global. A stable economy coupled with strong population growth continues to underpin the property markets in leading Australian cities like Brisbane and Melbourne. Australia’s economy expanded by an annual 2.3% in the first quarter of this year, while the country’s population grew by 1.5% in the year to September 2014. For many buyers in the Middle East, Australia is a convenient and familiar destination for investment. While there are signs that property prices are overheating in traditional investor hot spots like Sydney, pockets of value still exist in suburbs of Brisbane and Melbourne, IP Global said in its latest quarterly Global Real Estate Outlook. With population growth forecast at 34% from 2015 to 2031 and a massive AUD134 billion tagged for infrastructure investment in the State of Queensland, real estate in Brisbane stands out in terms of value. The city’s median unit price reached AUD422,000, a rise of 3.6% in the year to December 2014. With a shortage of housing stock endemic across the city, further price rises are anticipated, with forecasts putting growth at 5-8% across 2015. In the south of the country, some of the fringe suburbs within 10 kilometres of Melbourne’s central business district (CBD) should be a key focus area for investors, IP Global said. Apartment prices in Melbourne rose 5.2% in the year to March 2015, while the city’s low vacancy rate of 2.1% is keeping yields at a healthy average of 4.1%. While a 3% surcharge on stamp duty for foreign nationals in Victoria is set to take effect at the start of July, Australia remains one of the most transparent and straight-forward markets for overseas investors. 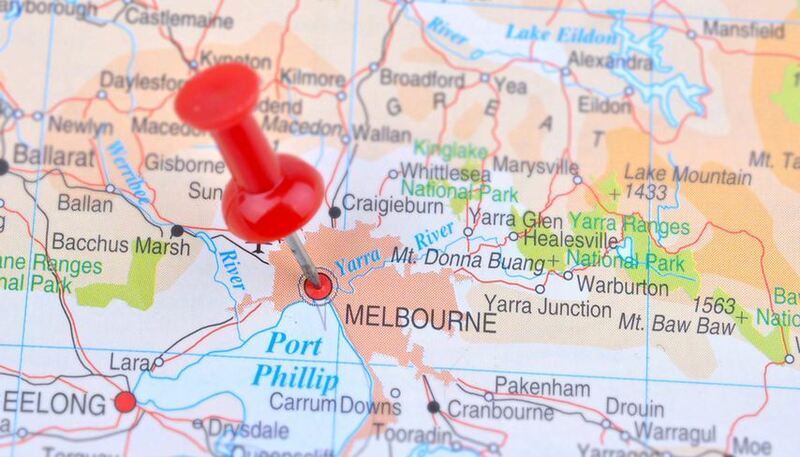 Melbourne’s fundamentals continue to indicate excellent investment potential, IP Global said. Of particular note, the trendy suburb of Brunswick is a clear standout for potential real estate returns. Prices in Brunswick West have risen by an average of 8.2% a year over the past nine years. Brunswick is also one of the West Melbourne districts set to benefit from the AUD4.3 billion Regional Rail Link program that will upgrade routes to the city centre and play a key role in enhancing the area’s appeal to both businesses and employees.